Aluminum Garden Dining Set includes four or six Dining Side Chairs, or Dining Arm Chairs and one Dining Table,it is for your reference,you can choose your favorite item and different chair with different table. Heavy-duty construction withstands nature's elements; will not splinter, crack, chip, peel or rot- is resistant to stains, insects, fungi, salt spray. 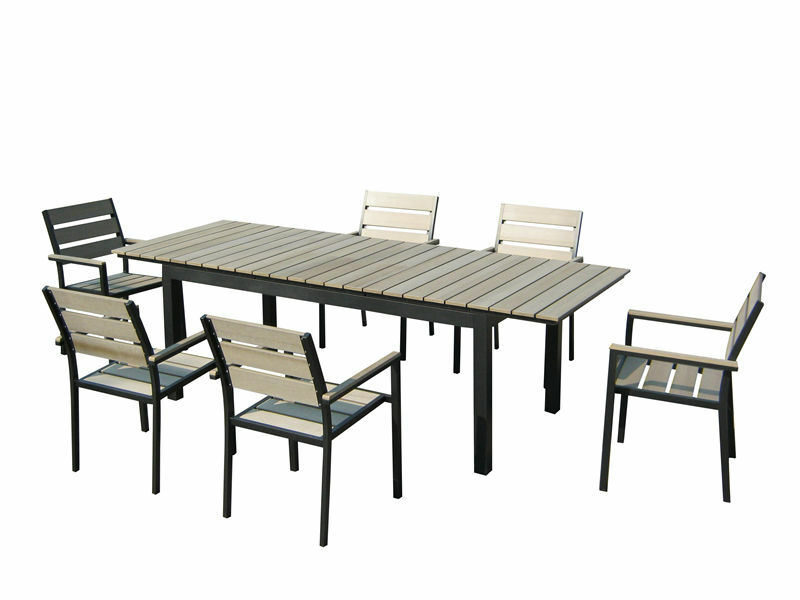 Looking for ideal Modern Outdoor Dining Set Manufacturer & supplier ? We have a wide selection at great prices to help you get creative. All the Aluminum Garden Dining Set are quality guaranteed. We are China Origin Factory of Sling Dining Table Set. If you have any question, please feel free to contact us.